What’s the best way to fight financial crisis? Work hard, live simply and don’t buy unnecessary things. I remember what Mom was always saying to us when we were younger that the best solution for a debt-free life is this simple phrase - do not buy what you don’t need and do not need what you can’t buy. Simple but true. We should not need what we can’t afford because if we do that’s the start of our money trouble. If we want to buy the things we want we should strive to earn extra income aside from our regular pay. Having an HR background from my previous employment gave me an insight of the regular pay most employees were receiving and I know that it’s enough for the basic necessities. Earning extra income could mean part-time jobs, business or some kind of investment. And if we want investment that’s sure to give us profit in the long run we should consider silver and gold coin investing. 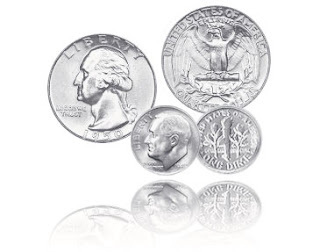 Monex companies, a well known coin dealer offers silver coin investing and has the best deals on silver coin prices. It has proven its worth in coin industry and provides the first program for financing buying of silver coins. With them you’ll have the best return on your investment.